A solitary excursion today - Deb is still too sore to run - and the forecast was reasonable. It's a long time since I've done the Fairfield horseshoe, so I set out on that. Boy, did the forecasters get it wrong! No visibility and constant rain made it a real endurance session. After a few miles, I thought it best to turn round and come back along the same route. 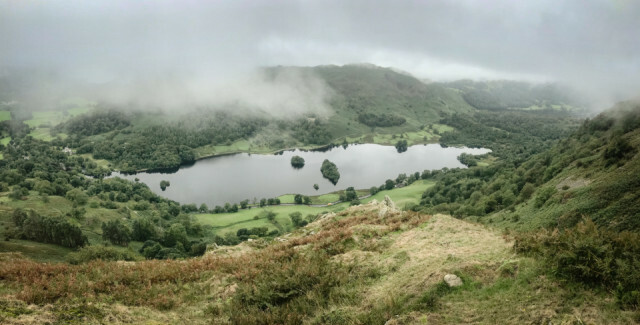 The views across a remarkably calm Rydal were pretty impressive - especially looking down through the breaks in the cloud.